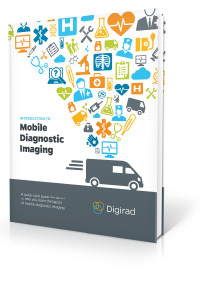 Hospitals choose mobile diagnostic imaging for a variety of different reasons, from lack of space to increased volume or remodeling of their radiology facility. There are many different types and styles of mobile imaging so it’s critical to know your options and the different paths you can take if you’re thinking about traveling down this road. Let’s start with the two categories of mobile imaging, provisional and mobile. 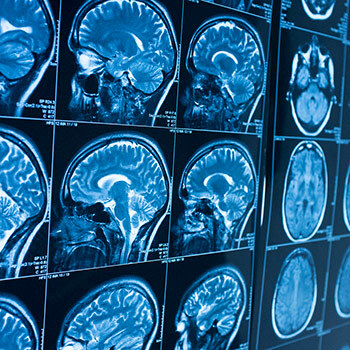 Provisional mobile imaging is typically utilized by hospitals that are experiencing a temporary disruption or short-term need for CT, PET, PET/CT, Nuclear and various other modalities. Often, facilities that choose this option are already providing these services but are using provisional imaging as a way to maintain their current volume while they either remodel, replace or repair their current equipment. With provisional mobile imaging, the equipment is delivered to the hospital via a tractor trailer. The trailer is set-up and stays in place for the entire duration of the project, typically 3 to 6 months. It can, however, extend to over a year, depending on the circumstances. Under this arrangement, the hospital will often provide their own staff, but the mobile provider can often offer staffing as well. Mobile imaging services include a scheduled visit from a provider, who also transports the equipment back and forth to your location. This arrangement is ideal if the hospital does not offer a particular imaging modality or if volumes are especially low. Low volumes make owning the system a financial challenge, and mobile imaging is an ideal way to meet your patients’ needs without making a significant investment. Typically the mobile provider will visit your facility on a consistent pre-determined day of the week and any patient appointments for applicable diagnostic imaging are made for that same day. Usually the mobile imaging provider supplies everything necessary to perform clinical studies including the equipment, patient consumables, and clinical staff. They operate as an extension of the hospital, which allows the facility to remove the overhead, space requirement, and staffing costs. A critical key to your facility’s success in this type of program is to work with an imaging service provider that is accredited, and has formal HIPAA processes as well as a formal compliance and regulatory program. If you are planning to offer mobile imaging at your facility, there are some initial requirements that need to be in place. The area where the mobile unit will be located will require a concrete pad, which must be poured and set-up before offering the service. Power and data must be brought to the area, so it’s important to plan for the connections prior to the mobile unit’s arrival. Lastly, many of the mobile providers require a patient lift so patients in wheelchairs or those with mobility issues can be accommodated.